Fifty years ago this month Alf Ramsey led England to World Cup glory, but it could have been so different. After manager Walter Winterbottom departed in 1962, the Football Association looked for his successor. 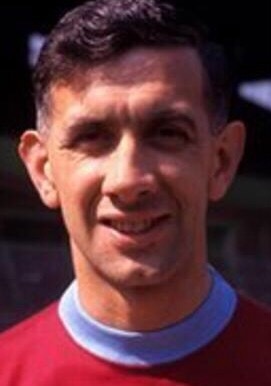 Jimmy Adamson, who had captained Burnley in the FA Cup final, was named Footballer of the Year and been part of England’s World Cup squad earlier in the year, was the preferred choice to become the new manager. This was despite the fact he was only 33, still playing for Burnley and had never been a manager, although he had performed coaching duties during the World Cup in Chile. In 2013 a biography about Adamson was published called The Man Who Said No to England, a title which told its own story. Adamson turned down the chance to become England’s manager and the FA instead approached Ipswich Town boss Ramsey. It’s certainly a ‘what if?’ moment for Adamson, Ramsey and the country, given what was achieved under England’s new manager. Adamson did not become a boss himself until 1970 when he took over at Burnley, later taking charge of Sparta Rotterdam, Sunderland and Leeds United. No surprise to see this man make our list today. 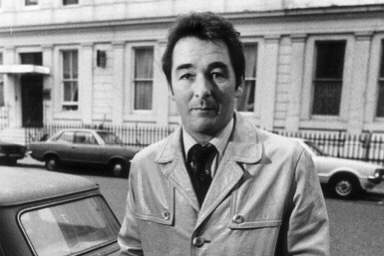 In 1974, 1982 and to a lesser extent 1990, Brian Clough had sections of the media championing him for the England manager’s job when it became vacant. But the real and most famous opportunity existed in 1977, when not only was he the clear public favourite for the role but he was afforded an interview. The outspoken Clough and the conservative FA would have represented a peculiar marriage, although there is no question he longed to manage his country. But it was to be perhaps inevitable disappointment, Clough losing out to caretaker boss Ron Greenwood who critics viewed as a ‘safe’ choice. Others to be disappointed after applying included Jack Charlton, Lawrie McMenemy, Bobby Moore and Bobby Robson. Clough had the misfortune for the England job to become vacant just before Nottingham Forest’s glorious period began and it was not up for grabs again until they had started to decline slightly. Had the job been on offer in 1980 it might well have been Clough’s given his recent achievements, although even then there is no guarantee the FA would have chosen him. Clough was left to settle for the widely-applied mantle of ‘the greatest manager England never had’ and to cover the team as a TV pundit, as well as briefly being in charge of the country’s youth side. For a more detailed look back at Brian Clough missing out on the England manager’s job in 1977, see here. In 1990 the England manager’s job was to become available after the World Cup with Bobby Robson moving on. 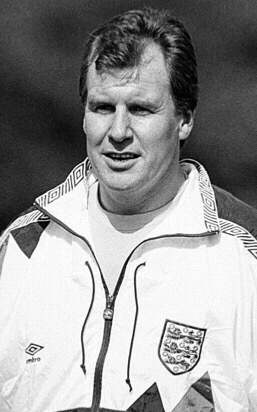 One man who perhaps surprisingly emerged as a serious contender was Joe Royle, who had never managed in the English top-flight. But the 1989-90 season saw his Oldham Athletic side win many admirers with lengthy runs in the FA Cup and League Cup, claiming several notable scalps along the way. Royle, who had played for his country, seemed to have a winning mentality. If what he says he was told was accurate, then the job could have been his. But he didn’t pursue it. “I was once told the national coach’s job would have been mine for the taking had I bothered to go for the interview,” he wrote in his autobiography. “Be that as it may, I can state categorically that the job of managing England, supposedly the pinnacle of any manager’s career, is one that I would not take if the FA begged me to.” Royle cited the press intrusion into the lives of previous managers and the criticism they received as reasons why the role has never appealed. Instead, a short spell helping coach the under-21s (see above pic) shortly after Graham Taylor became the manager instead would be as close as Royle ever came to managing his country. He duly led Oldham to promotion and later won the FA Cup with Everton, as well as achieving back-to-back promotions with Manchester City. Royle’s former Everton team-mate Howard Kendall was another contender in 1990, but he too would never manage his country. In 2002 Luiz-Felipe led Brazil to World Cup glory and in 2004 he managed Portugal to the European Championship final, on both occasions beating England in the quarter-finals. The FA seemed to have adopted the attitude of ‘if you can’t beat them, get them to be your manager’ when it was reported Scolari was all set to become the new England boss after the 2006 World Cup. But Scolari quickly got a taste for how much pressure the job would entail, as the English media circus headed to his home. He quickly withdrew from the race. “There are 20 reporters outside my house now,” he said. “If that is part of another culture, it is not part of my culture.” It was not an episode that reflected well on the FA, who were now left to backtrack and choose between English candidates. 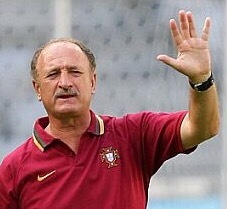 Scolari continued to focus on his work with Portugal, yet again getting the better of England during the 2006 World Cup. A decade on he is reported to fancy the job, but his chance may have passed. Back in contention in 2016, Big Sam Allardyce’s previous big came a decade ago when he was interviewed for the England manager’s job and was seen as one of the final two contenders after Scolari withdrew. Although his style of football was not always to everyone’s taste, Allardyce had impressed at Bolton Wanderers in recent years and arranged to meet England captain David Beckham to help allay concerns raised about his lack of experience at the very top level. Allardyce produced a detailed PowerPoint presentation for his interview, only to be told there were no facilities at the interview venue that would allow him to deliver it that way. 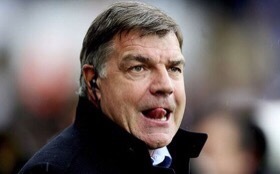 “So much for the progressive FA,” Allardyce mused, as he perhaps sensed it wasn’t meant to be. He was left hoping and guessing, but lost out to Steve McClaren – a man who also denied Big Sam a major trophy in 2004 when Middlesbrough beat Bolton Wanderers in the League Cup final. Allardyce’s appointment would have created difficulties for the FA given just weeks later he was implicated in a bungs scandal – he maintained he was not guilty of any wrongdoing – but he would no doubt believe he would have qualified for Euro 2008 unlike McClaren. If he gets the job now, maybe we will finally see what might have been a decade back. Redknapp approached Brendan Rodgers about being an England coach at Euro 2012 if he became manager. But it would never happen. 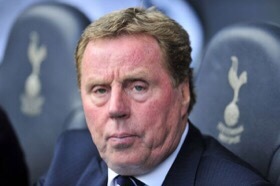 At the end of April Redknapp discovered that Roy Hodgson was to become the new boss, with some drawing comparisons with when Ron Greenwood was appointed instead of Brian Clough 35 years earlier. Redknapp rang Hodgson to congratulate him as he reflected that maybe managing the national team was not really for him. He did after all still have a decent job managing Tottenham Hotspur. But not for long. Chelsea won the Champions League to qualify for the following year’s competition rather than Spurs and in June Redknapp was sacked. In weeks he had gone from potentially having to choose between club and country to not being in charge of either. He knew his one serious chance of being England manager had gone.